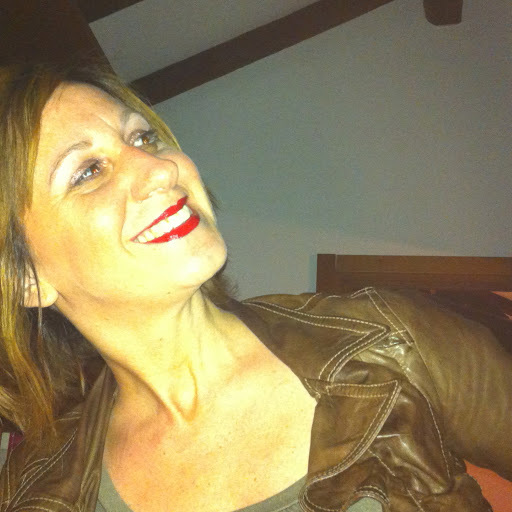 Today I welcome Lisa Bonfatti, who works for the perfumery and niche perfume distributor Campomarzio70 in Rome, Italy (who represents Vero Kern for instance). Lisa is a perfumista herself and I’m sure I am not the only one who is a bit envious about her job. She gets to earn money by doing what she is passionate about. Who doesn’t dream about that? A good day starts with… a coffee and a kiss. I’d never leave the house without… perfume! I always feel good when… heart and mind agree with each other! The next thing I want to buy is… perfumes, what else! The place I always come back to is… Germany, my second home, and the French atlantic coast. My personal style is… personal! A bit of this, a bit of that, a look to the past, another to the future. Almost far from the present! My favorite perfume… I just can’t answer that! There are too many. So I will say… the next one! When I travel I always … get frustrated because I have to choose among too many perfumes I would like to take with me. To relax I need… home, silence and my dog. When I have a bad day… I try to breathe, listen to music, indulge in melancholy and squeeze my dog! I like to gift people with… books. I find my inspiration… in unexpected moments. Something I would never want to miss… is the ocean. In my fridge there is always… butter and wine. On my nightstand I keep… books and my cell phone. The perfect weekend starts with… a cozy lie in and delicious breakfast in bed with music and love. My role model is… it would be good if it were me! I could do with Lisa’s ideal start into the weekend as well, I must say. Thank you for being a good sport and agreeing to do this, Lisa! This entry was posted in Interview and tagged Campomarzio 70, Interview, Rome. Bookmark the permalink. I would love to work at Campomarzio70! You can tell by her replies and her beaming smile that Lisa is an optimist and, no doubt, very good at her job. I especially love her replies to “My last mistake was…” and “My role model is…”. I like these answers too, I wish I was that positive! Fun answers. Especially liked her favourite perfume being the next one! Ha, yes, that is a great answer and so true for us fumies. I’ve always thought of Lisa as someone totally proactive and no-nonsense. Now I think her answers confirm my intuition. Thank you for this lovely Q&A, dear Birgit. Thank you for reading, dear Caro! I assume you’ve met Lisa in person in Milan or Firenze? I have never met her in person! It’s only through our correspondence that I have this impression. Germany is my second home too! I so agree about the ocean being something you would miss. Even if you live in a landlocked part of the country, it’s nice to know it is there. 😉 Lisa sounds very jolly and fun to be around – and looks it in the photo too. Having grown up and still living in a landlocked country, I’ve always had a bit of a fraught relationship with the ocean. It’s very foreign to me and remains mysterious and slightly dangerous. Good to hear that, Val. and I loved “The Next One” as an answer. Glad you were able to visit! It must have been lovely!